The Delta Blues was born out of a mixture of despair and dreaming. It is a reflection of the distressed reality for blacks in the southern US states combined with the hopeful lyrical charm and beat of the great hymns of old. At its core, the Delta Blues is a heartbeat. It is a pulse that kept entire generations alive through the many trials and misfortunes of life. The delta blues began in Mississippi among the plantations of the Mississippi River delta. The delta itself stretched from Vicksburg to Memphis. The overflow of the river left vast areas of fertile land that would turn into the cotton and vegetable plantations of the Deep South. Following the American Civil War, ex-slaves and sharecroppers continued to work the fields in the harshest of conditions. As they labored, they sang. And the songs they sang were a reflection of the simplicity and poverty of life in the delta. In its initial form, the delta blues might have sometimes included a guitar or other similarly simple instrument. But the delta blues was localized until the 1920s and 1930s because there were no recordings of any songs. However several blues musicians were recorded in that period of time and the delta blues began to spread north where it took on its own flavor in places like Memphis and Chicago. Perhaps the most renown of the foundational delta blues musicians spent most of his life anchored to the “juke joints” within the Mississippi delta. Legendary for meeting the devil at the crossroads, Robert Johnson is said to have exchanged his soul for the ability to play a distinct form of guitar. His life, riddled by reason to despair, was short-lived and yet the blues style he created has forever changed the face of music. But this unique musical style, along with an wandering lifestyle due to one tragedy after the next, would have its cost. 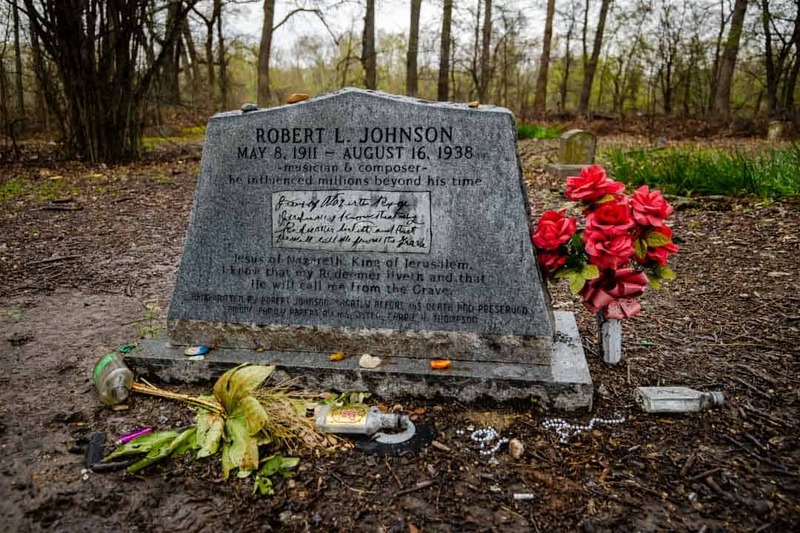 Johnson would die at the age of 27 and be buried at a church along Money Road just outside of Greenwood, Mississippi. On this same road leading away from Greenwood there is a stand-alone building that has become a living monument to the delta blues. It is separated from the vastness of the surrounding plantations only by three radio towers that rise into the sky. WABG radio station is truly one of a kind. But it hasn’t always been that way. Once there were dozens of stations like it broadcasting delta blues to listeners all over the country. But as music and mass media evolved, WABG remained the same. This was, however, by the intention of its owner and sole disc jockey. James “Poe” is the last of the Delta Blues disc jockeys. He wasn’t the first. And he didn’t have to be the last. But sometimes life endows a title to those who hang on the longest. Poe has been hanging on for some time. And when he lets go, so too will go the title. As a child growing up in Jackson, Mississippi Poe used to walk past a blues radio station every day. It was a simple station, with a single glass window through which Poe could see the disc jockey if he were so kind to raise the blinds. At that time, in the 1970s, there were no black-owned radio stations. But there were some station owners that saw the power of speaking to an entire community, inclusive of blacks. Radio was the center of mass media during this time. Many people in the area couldn’t read and most couldn’t afford a television. Radio had the distinction of being able to both entertain and inform its listeners. It was this power to open and transform minds that subtly gripped an eleven year old Poe. The fact that an announcement by the radio station could bring an entire community together to provide for the needs of its residents took hold inside Poe at such an early age. The delta blues remained a part of Poe even though he joined the Air Force and spent most of his time away from Mississippi. As a traffic control airman, Poe tinkered with radio on the side. Ever since those childhood days of peeking through the radio station windows, Poe had dreamed of becoming a blues radio disc jockey. When he retired from the Air Force Poe pursued this dream in his hometown of Jackson. However, regardless of his efforts to appease current musical genres, Poe couldn’t settle with not being able to broadcast the delta blues the way he thought it should be done. Poe is a purist. To him the delta blues is a historical artifact woven into the fabric of our entire society. The way he saw it, the world would not be the same if it choked out the delta blues. The playing of the blues could not be, like the music itself, forced or enclosed. It had to be free. So Poe jumped from one radio station to the next trying to find a way to bring his passion to the broadcast. He eventually took a disc jockey job in Minnesota where he surprisingly found he had more freedom to play and to preserve the blues. 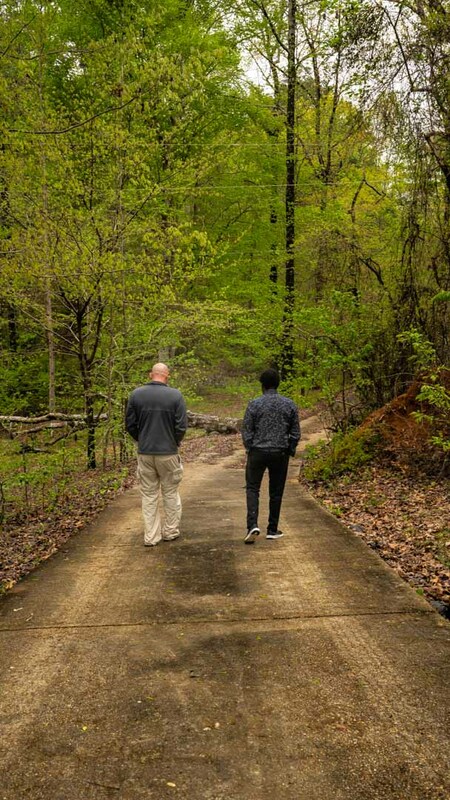 However, one fateful phone call would change this course and bring Poe back to the Mississippi delta, to that tiny one-room radio station off Money Road, to become the owner and sole disc jockey at WABG radio. 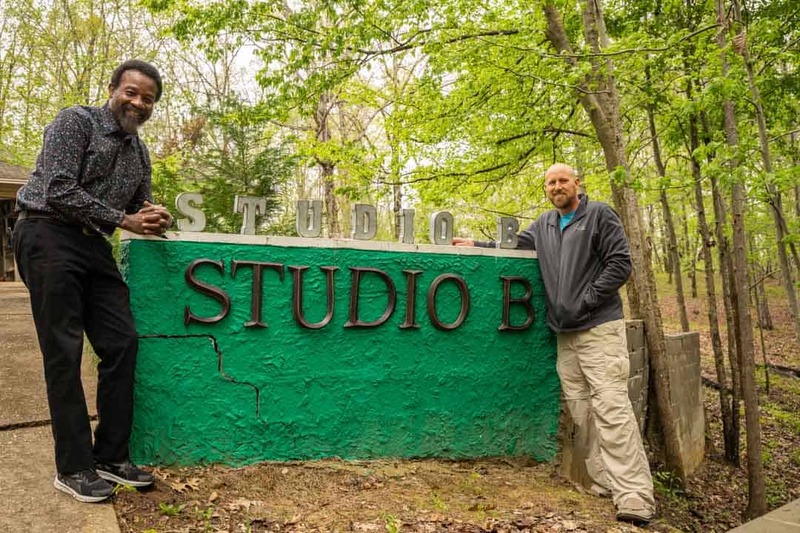 Poe sold what needed to be sold and mortgaged his home for the opportunity to buy a part of the WABG radio station. As time progressed, Poe eventually bought out his partners’ share and became the sole owner of the station. It was not as profitable as some would like. And Poe was generous in the honesty he doled out on the air. Few others in the area seemed to understand the importance of the delta blues to their community. But Poe persevered in staying true to form an honoring the late greats of the delta blues. For the last ten years Poe has hung on to the WABG radio station. He has continued to find ways to fund the station. This often meant leveraging his own personal assets and financial security. But he did so on the belief in the power of that one small station. Over time other radio station owners have approached Poe about buying the station. Some have been more hostile than others in their offers and attempts to hijack the station. But through each difficult time Poe has held on to his singular believe that WABG must continue to exist as it is. He could care less whether he is the last delta blues disc jockey. That title means nothing to him. What matters most to Poe is the music and its ability to reach into and transform its listeners. Poe is a man of principled passion. He is committed to drawing out the passion in others. Whether this be through blues music or conversation over fried catfish or a good steak. 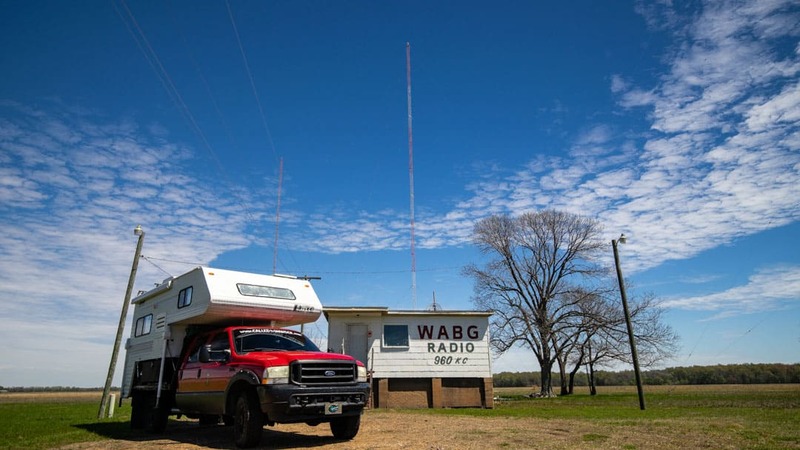 It’s not likely that WABG is going anywhere anytime soon. Even if he passes away he has a plan in place to preserve the station. It’s a long shot that he keeps it running year after year. But this is his tenth year of owning the station and Poe has a certain comfort in betting on the long shot. There is no doubt or fear in his eyes that the station is, or will ever be in jeopardy. And as long as that optimism and passion remains in Poe, the world will continue to be inspired through the music that has transformed the world over and over again. Make sure to check out WABG if you’re interested in hearing the delta blues and would like to get to know the last delta blue disc jockey a little better. And if you are so inclined, please reach out to Poe to offer some financial support. Poe is the kind of guy who would rather connect with you individually than through a crowdfunding page. So send him an email and say hello!